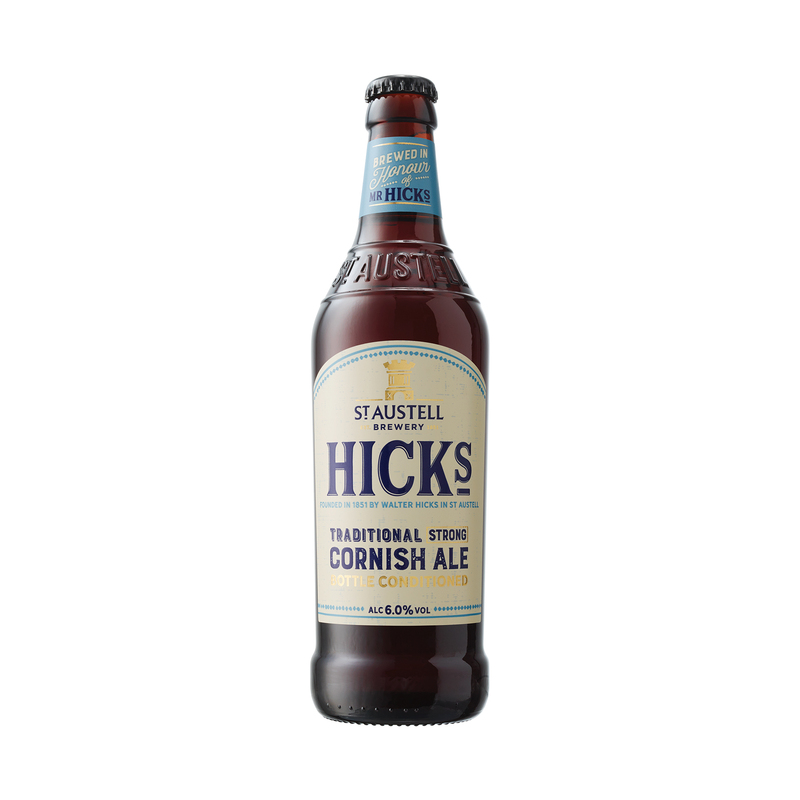 St Austell’s most legendary ale, Hicks is fullbodied strong and Cornish, brimming with a kaleidoscope of flavours. Brewed with plenty of malt and lashings of English Fuggles and Golding hops, Hicks is truly a classic ale of considerable depth and complexity. The real ale alternative to a well rounded premium red wine and simply superb with steaks and other red meat dishes.